A new spot to score coffee, tea and bagels has opened up shop in the neighborhood. The newcomer to Greater Heights, called Golden Bagels & Coffee, is located at 3119 White Oak Dr. This new bagel joint specializes in New York-style bagels with a a "Gulf Coast twist" and features local cured and smoked fish, along with locally roasted coffee beans from Katz Coffee. For drinks, expect to see a variety of standbys like cappuccinos, flat whites, lattes, nitro cold brew, a matcha latte, and more. Look for a selection of bagels prepared daily with offerings such as poppy, sesame seed, "everything," honey whole wheat, and cinnamon raison. There are house-made spreads available, too, like scallion dill, maple pecan, lox, and sun-dried tomato. A full food menu will be joining the lineup soon, so expect to see bagels with egg and cheese and with spread, lox, red onions, and capers. The fresh addition has gotten an enthusiastic response thus far, with a 4.5-star rating out of 39 reviews on Yelp. Brent M., who was among the first Yelpers to review the new spot on January 15th, said: "Since I am a texture guy, I feel there is always a 50/50 chance that bagels are going to be dry and resemble a hockey puck from last season that is nuked and put on a plate. That is not the case here at Golden Bagel, they are spot on, I mean warm and just fresh and slightly chewy. Just like I want them." 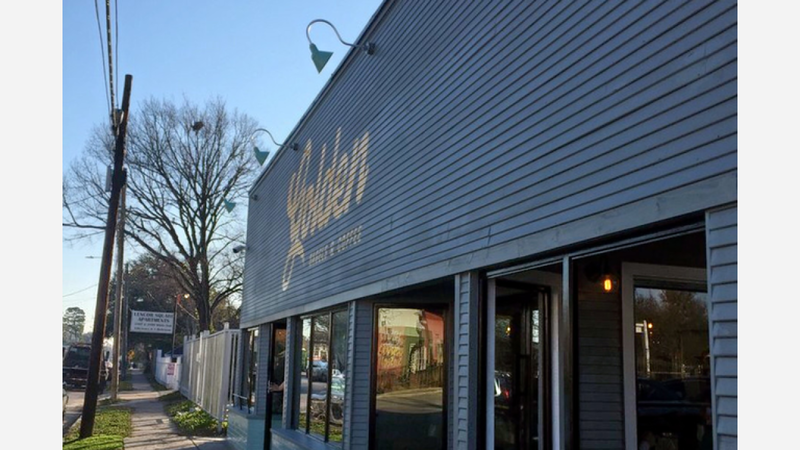 Yelper Babak Bobby Y. added: "Besides the long lines and hassle of parking, Golden Bagels is a killer addition to the breakfast and brunch scene in the Heights. Its success should reign in a slew of other bagel shops in the near future." And Val D. said: "My boyfriend and I have been counting down the days until this place opened, and I was so worried my expectations wouldn't be met. Between the hip ambiance, the delicious coffee, and and the yummy bagels, I can safely say my expectations were definitely exceeded." Swing on by to take a peek for yourself: Golden Bagels & Coffee is open weekdays from 6am-noon, and weekends from 7am-1pm.